A scarecrow that's got human eyes! And mares that all trot in disguise! Not caring a jot for excise. 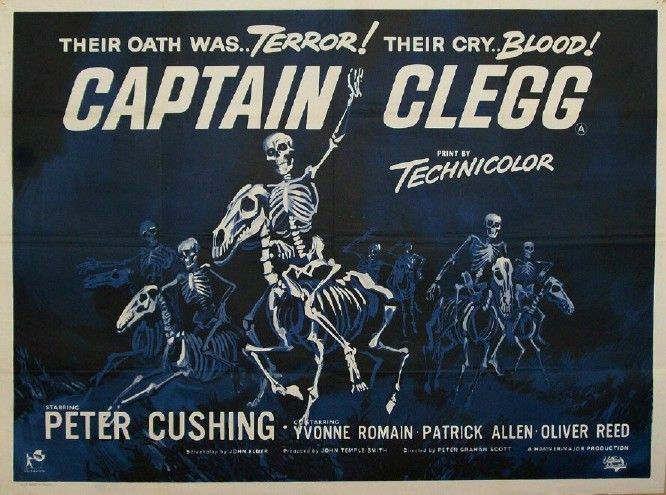 Parson Peter Cushing secretly leads a band of smugglers in Captain Clegg aka Night Creatures (Terence Fisher; 1962). The scarecrow hid the smugglers’ lookout. The smugglers would disguise themselves -- and their horses -- as skeletons, far less convincingly than the posters suggest.